Each Wednesday at 5:00 p.m. September-May, all are welcome to participate in a casual worship and communion service held in the sanctuary. This worship opportunity consists of a few hymns, a short devotional and a time of communion. This service is a wonderful mid-week reconnection time of reflection and renewal. 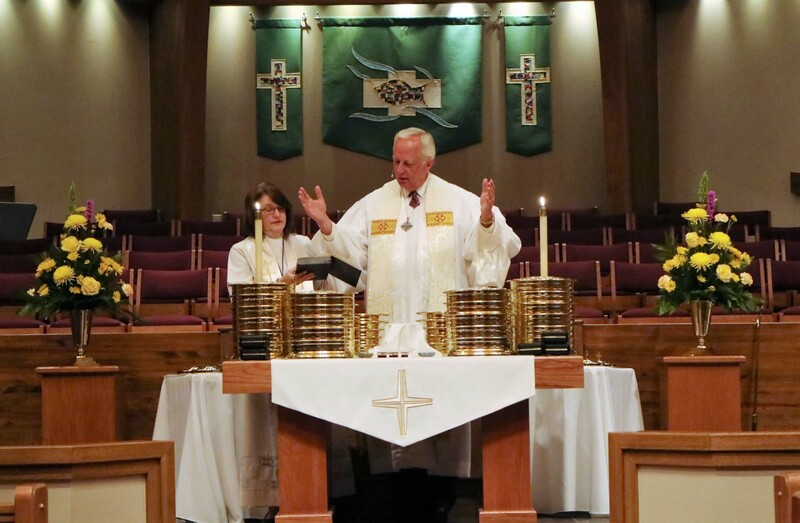 Holy Communion is served during the regular worship services on the first Sunday of each month. On the remaining Sundays, Holy Communion is offered between the 1st and 2nd service at the altar rail. Home Communion is also available to those members who may not be able to attend worship. Please contact the office at 922-4503 if you wish to receive Home Communion. 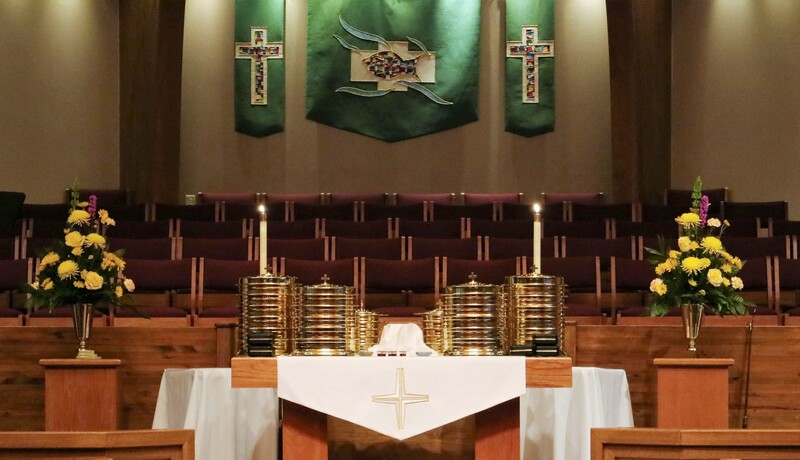 Holy Communion in the United Methodist Church is open communion, available to all who wish to receive it.